Chessdom: Mr. Azmaiparashvili, you are here as head of the Appeals Committee in European Club Cup and you’ve been following the tournament so far. How do you see the battles on the chessboard and overall organization of the event? Zurab Azmaiparashvili: Well, this is interesting for me. First of all, I will start with the island of Rhodes. This is one of the most famous islands in the world today. Mainly, for everybody – for 90% or more of the chess players – this is their first time here. So for them it is an experience to now know Rhodes, and this is important not only in terms of chess, but also for their lives. Secondly, I can add that all the players are staying in the same hotel, which is also important. There is a fantastic playing hall, for women and men. They have very nice conditions and there is a very nice atmosphere around it. The food is wonderful. Of course, every organization might probably have some small mistakes, even on the very high level, but here I don’t see this, which is important. I believe that most of them don’t think the same. Maybe some of them don’t like their tournament finish because of the result, not because of the conditions. The conditions are important. So, organizers here did their best to satisfy all the teams and players. This is important. Now, how I see the fights over the board? Here, of course, I can say that I’m a little bit disappointed about the ECC in general. Now, if you see the teams in both sections, there are clear leaders: SOCAR among men and Monaco among women (Ed. the interview took place as SOCAR was playing with Novy Bor). Who can fight against such clubs? When there is almost no fight for first place, the tournament loses something. This is not for a lack of sponsors. Of course, I’m in favor of the increase of sponsors like Monaco or SOCAR. This is the job of our federations and clubs: how to approach the sponsors to have a good team. Still, a lot of players in the world don’t play here. Most of them play, I agree, but there are people who don’t play that might bring success to a team. This is my view as a former chess player; the spirit of fight for first place is missing. And for men it is more difficult because, generally, the difference between men’s and women’s chess is that in the women’s section Monaco is much stronger than the rest. When there’s like 100 points Elo difference, almost nobody can fight – the game is almost over. Among men it’s not like this. SOCAR has players of around 2750 and above, but the rest of the teams are strong as well – around 2700 or more. Here is a fight, as anybody can win one match. Even if SOCAR arrives with a perfect score to the last round, they might lose and be left out of first place, while this cannot happen with Monaco as they can become champions already before the last round. Chessdom: You said you are a former chess player. Now you are involved in the government in Georgia, as the Deputy Minister of Sports and Youth. Can you tell us about your work there and the overall development of sports in Georgia? Zurab Azmaiparashvili: Ok, it happened by accident that I went into Georgian politics. It actually started on 2004. I felt that our government, the young generation who took over the power – I was a real supporter of Mr. Saakashvili – would do a lot of reforms, but I also felt some danger. Mr. Saakashvili is very talented. In 2001, in an interview that I gave to a Georgian newspaper, they asked me about the future President. They questioned me about two possible candidates: one of them was Saakashvili, and the other one was Mr. Zurab Zhvania, who later became Prime Minister in 2004. They asked me who I would prefer to become President. I presented my opinion about both of them. About Saakashvili I said that he is a very talented guy; he can fly, there is no doubt about it. However, I raised the question whether we need a President who can fly or we need a President, in a country like Georgia, who will be stable, given that we know that we are moving in the right direction, step by step, but without flying. Saakashvili can fly, but he can also absolutely destroy everything if he doesn’t like something. I compared him in the interview – I’m sorry to say this – with Mr. Kasparov. I said that Garry was as talented as Saakashvili: he can fly, he can build, he can grow up, but if suddenly there’s something that he dislikes, he can destroy everything, which is what happened in his life. And we can prove this. He built the GMA, with no doubt a great organization, and then he killed it; he built the PCA, another good organization, and killed it. I will not talk about the Brain Games because they were temporary. Then, he built a new cycle for the Championship; grandmaster Shirov won, maybe by accident, as he might not have been the best at the moment, but he won. They had to play a match and Mr. Kasparov decided not to play. I don’t even know how Georgia got out of this safe. It was with the help of the Americans and Europeans; I can say that it was thanks to Sarkozy, because he made a lot of efforts to save Georgia. It was a European decision to save us because the Americans cannot intervene too much. And we still felt this; I didn’t feel secure in my country. I left to Singapore; I was living there for about three years, working in chess academy with Mr. Leong. 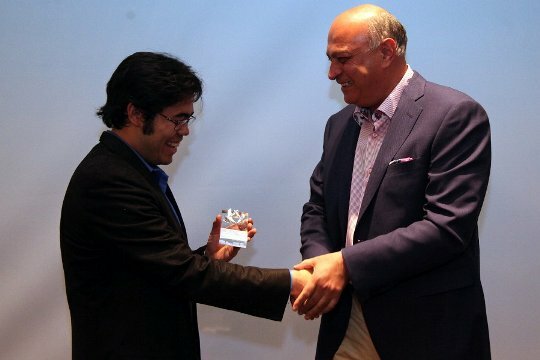 So, when in 2012 I was in Georgia by accident I met Mr. Ivanishvili, who is the current Prime Minister – a billionaire that supported changes in culture, art and sports, and made a lot of things for the government. Actually, he gave his salary to Saakashvili’s government from 2004. Talking about this, corruption is one of the big points that Mr. Saakashvili fought against, but not on the highest level. On the middle level, I can assure that, today, there is no corruption, and the same happens in the high-standard level, but not on the highest level. So, Ivanishvili declared that he would fight against the President. For me, as a normal Georgian, it was time to make a decision. I want this country, my motherland, to improve and take the democratic way, or we’ll stay with the government of Saakashvili 20 more years. Maybe you don’t feel that you are being attacked personally, but you feel that at any moment you might not be safe. So, I just decided to have a meeting with him. I did not expect it but we had a long meeting of over one hour. He offered me to join his team and, at first, I did not want to get involved in politics, but then I decided to go for it. I went back to Singapore for 3-4 months to finish my job with my students and came back to Georgia for the elections. We fought and we won, and then I had to decide where to position myself. I refused to go into Parliament – which might have been a mistake – but it was my decision. I was offered to be the Minister of Sports, but I told him that I had no experience working in a bureaucratic system. Of course, I will need to take political decisions, so I accepted to be the First Deputy. My job is to be the replacement of the Minister, and to work with the Directors of Youth, Sports and Finances. We are a very good team and have very good relationships with each other. We are working in a straight-forward manner, not doing things behind nobody. We have been criticized, but it is not a problem; if somebody does not succeed, we can leave the job. Chessdom: I understand that you are making an impressive bid for the 2018 Chess Olympiad. Can you tell us more about it? 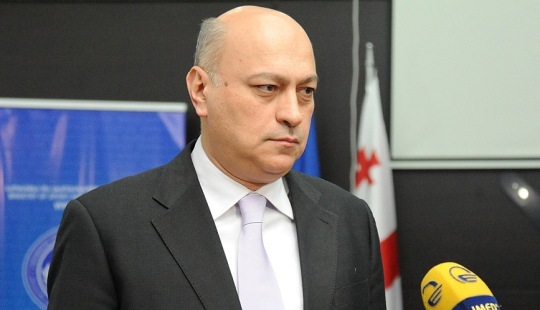 Zurab Azmaiparashvili: We are working on it because I made a declaration based on several meetings. We organized a meeting with the Prime Minister as the Georgian Federation had the idea to do it. We presented it to him and he felt it was ok. We asked about the budget to the FIDE president and he told us we could ask the organizers from Tromso and Baku, and it is something around 15 million Euros. We shared this with the Prime Minister and he said it was possible to get this budget for 2018. Of course, we needed to pass through many bureaucratic levels: the Prime Minister presented the idea to the Cabinet of Ministers. They discussed the idea and decided that this budget would be available in 2017-18. The ministers liked the idea, summarized the budget and did not put too much financial pressure on the Georgian federation. We are working on this direction, and we believe that we will have a specific proposal one month before the deadline of the bidding process. I want to add that, for me, the money is not that important. What matters is whether we have the conditions. When we started discussing, my clear position was to do it in Batumi and not in Tbilisi. First of all, Tbilisi is not a small city; the hotels are not so close to each other, and when you have to travel half an hour or more, it might not be good for the chess. Batumi is a small city with many 5-stars hotels which already have 1250 rooms for chess players (around 1800 places), only in 5-stars hotels, and they are connected by 20-minutes walking distance. The biggest one, the Kempinski, has a big hall of 3000 square meters, among other smaller ones. The official condition of FIDE is to have a 5000 or 6000 square meters hall, so that’s something we can get without any problems. That’s why I proposed Batumi, which will make it easier for us, especially after Baku, where they will organize a wonderful Olympiad. It will be very hard for us to do it in the capital, if we compare to Azerbaijan, which is an oil country that will not only put up the budget for the event, but also looking to promote the city. If we do it in our capital, we risk not achieving the same level, but if we do it in a resort, it is different. At the same time, Batumi is a nice city that is growing a lot. It is good for chess. Chessdom: You were present at the FIDE congress in Tallinn. What are your comments on the news regarding the upcoming elections? 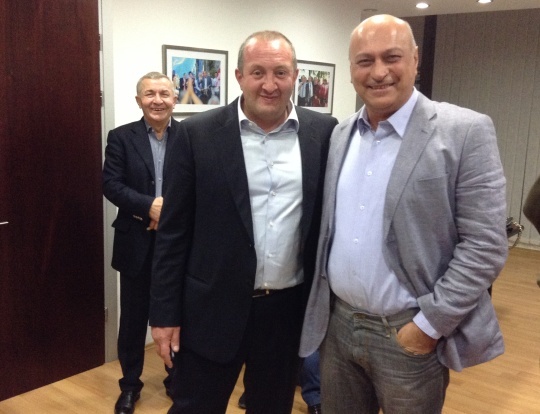 Zurab Azmaiparashvili: I want to be honest about this. I expected Kasparov to run for President, and I did since 2010. When he joined – or maybe convinced – Karpov to go for FIDE President in 2010, I wondered why Karpov decided to do this, and why Kasparov supported him in his effort. So, I asked him about this in my 50th birthday in 2010 in Georgia, where Kirsan and Makropoulous were also present, along with Ali Nihat Yazici. It was not clear for me why did he do it and what was his duty in the campaign. He invited me to support his team and defeat Kirsan. For me, I was still Vice-President of FIDE and had nothing against the President. I am very friendly with Garry, but it was not nice for me to leave Kirsan and support him, because I didn’t see a clear reason to do it. And I told him right away that it would have been different if he was running for office, as I could not see what Karpov would bring to the table as an organizer. I also told him that he didn’t have many chances against Kirsan. He talked to me about raising money during the campaign with Karpov’s contacts in America and his contacts in Europe and Asia. I told him that he was in the losing team, that Kirsan would win, and that he would not get the Russian vote. They had a great connection built with Saakashvili. So I did not want to be very open about this subject and say that there was “no way to join Karpov because I would support Kirsan” as, at the Presidents’ level, they can decide whatever they want. They could have kicked me out as delegate of the federation or put pressure against the federation. So, I made my diplomatic research with Garry and asked him what he would get if Karpov won the election. He told me – and you can ask him about it – that he would control Karpov. I didn’t really believe this was true and started thinking about what was his real reason to join the campaign, even though he knew that Karpov would lose. I realized that if he ran in 2010 he had even less chances than Karpov, as he would not get the Russian vote due to his fight against Putin. So, what he was doing was simply delaying his candidacy to 2014 and, at the same time, observing from behind the scenes, behind Karpov, what were the weak points, which he would study and make his own strength in the next election. Chessdom: You were looking at a real chess player. Zurab Azmaiparashvili: That’s why I expected this. He is not stupid at all, on the contrary, he is a clever guy. He did it all for himself: raising money for the campaign – although there was also some money from Karpov’s friends. Garry was looking out for his 2014 candidacy. So, bravo, he did it right. Also, he announced his ticket specifically in Tallinn as it was the only big forum to do it, and because, after he left from Russia, it is the city where he spends most of his time. This was the best place to do it. Regarding the way he did it, honestly, I liked most of it, except the fact that he did not invite the FIDE president, even though all the members of the FIDE leadership were there. I understand that he is presenting a ticket to improve the work that has been done so far, but I did not see a reason not to invite Kirsan. I told him in Tallinn that I did not like this, and he answered that he really didn’t know how to invite him; I told him that it was simple, just go and give him an invitation (laughs). Chessdom: A few months ago you made a declaration about the ECU. Can you tell us about the developments since then? Zurab Azmaiparashvili: Well, it was quite a long time ago, during the Thessaloniki Grand Prix, also in Greece. I made a small declaration with some little criticism, and I know that Silvio Danailov doesn’t like this. I spoke with Sava Stoisavljevic (Ed. ECU General Secretary) and she told me that they were not happy about this. I told her that I have the right to do it – as anybody does – and that critics should have a point. I asked her to review my declaration, and she came back the next day and told me that both points I made were true: the first one was regarding the expenses of the office, which are worse than before, and the second one talked about the lack of sponsorships. I think that since 2010 there were no sponsorships. I repeat that I expect much more from Silvio. Before 2010, he proved to be a very successful manager and organizer – everybody liked the M-Tel Masters. So, if the guy was successful in everything he did, I expected him to improve the situation in Europe. I even went against the candidate preferred by FIDE’s leadership – Ali Nihat Yazici – in order to support Silvio. I thought that he would bring fresh new blood. Unfortunately, I was not right. However, I have to address one point in his favor, which is the work he did with Kasparov to bring the Chess in Schools program to the European parliament, where they did a very good job. Sadly, this is not enough for an ECU President. I expected from him to take advantage of the good position Bulgaria had, even though it is a small country. I thought he would bring at least 50,000 EUR per year from sponsors. However, this did not happen and the expenses are growing, so, a lot of criticism. I already had some talks with them, and also with sponsors, so as not to jump at it without information. I don’t want to make an official declaration but I might run for the position of ECU President. However, this is not against Silvio, it’s just that I think I can bring more to the table. And if he does a good job in the 10 months he has left, I will applaud his efforts and stop criticizing his term in office. I want to add something about him. He declared that he would run for the European position and that he will do it against FIDE. He is completely connecting his campaign with Kasparov’s, and this means that, to please Kasparov, he will criticize FIDE whether he has a point or not. If somebody says that I always please FIDE, he is wrong. During Khanty-Mansiysk, I made a point and fought against FIDE defending my personal position – and my federation’s -, and even ended up going to court. I made my declaration and not even one Western delegate supported me. Honestly, I did not ask for their support because, as you know, in Europe and within FIDE, when you want something, you ask your friends that are angry against FIDE to support you. But what’s important is that I do not want to fight without a point. Today, my point of view is that Silvio is attacking FIDE without need and without points, not looking for the truth. I know that nowadays it is very nice to use twitter and facebook and everything, but you are the President of the European Chess Union, you are not a “twitter-man”. So, what is his job? Coincidentally, I was invited by Armenia and Azerbaijan to be part of FIDE’s Presidential Board, and if you want to fight for a subject, you take it to the Presidential Board and defend your point. The people at the PB are smart, and if they feel that you are right, someone will speak up and support you. However, in Baku, Silvio did not say more than half a word. All he did was to write something on his Ipad, and later I found out that he was criticizing FIDE on social networks, but if he wanted to say something, that was the place to do it! If I criticize something, I do it regarding a point, not because I like or dislike someone.